Are you looking for a low-key, peaceful setting? Tired of the overstimulation of the city? Welcome to Sherrill’s Ford, North Carolina, home to the Northview Harbour community. This lakeside community offers a peaceful respite after the daily grind, whether you work in the city or simply want to end a day of shopping and errands by getting away from the hustle, bustle and crowds. 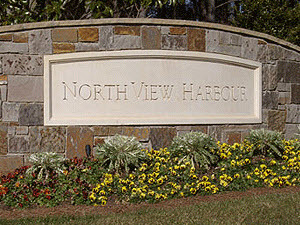 Northview Harbour is a luxury home community that was developed by Crescent Development. This beautiful community offers some of Lake Norman’s nicest luxury real estate and waterfront homes. Located on the shores of Lake Norman, Northview Harbour offers a full array of amenities including tennis courts, boat ramp, club house, pool, playground and recreation area. Residents of Northview Harbour need rarely leave the grounds. Homes in Northview Harbour enjoy waterfront, water view or wooded views. Each site ranges from 0.5 acres to 1.25 acres and houses floor plans that range anywhere from 2500 square feet to 6000 square feet. Prices of the homes range from the $400s to $2.5 million plus. In Northview Harbour you will find many styles. They include Transitional, Rustic, Bungalow, French Provincial, Traditional, Victorian and Colonial. All are beautiful and beautifully appointed. Each home built in Northview Harbour must undergo architectural approval and the exquisite homes available evidence this fact. Northview Harbour is located in Catawba County that is conveniently located for access to the great communities that surround Charlotte. Charlotte offers the best in everything from shopping, entertainment, nightlife, family entertainment, sports and theater. Some of the South’s finest dining is just minutes away in the Uptown area. Try Time Warner Arena, the Blumenthal Performing Arts Center, Bank of America Stadium, Discovery Place, the Mint Museum Uptown, Levine Museum of the New South, and ImaginON — all an easy drive down I-77. The Lake Norman area offers great indoor and outdoor experiences as well. Waterfront eateries and boating opportunities can combine to make an idyllic and luxurious weekend, every weekend! Try your hand at just about any riparian activity with wonderful Lake Norman in your back yard! For the more adventurous there’s jet skiing and motorboats, for sure. But if you’re the more laid-back type, the Lake Norman area offers a wonderful habitat for bird watching, hiking or simply laying back and enjoying the view from water’s edge. If you’re seriously into the bird watching however, Lake Norman and Sherrills Ford offer easy access to one of the areas most revered attractions: the Carolina Raptor Center. There’s a reason the Raptor Center is located in nearby Huntersville on the lake! Need expert advise on finding your perfect lakeside property? 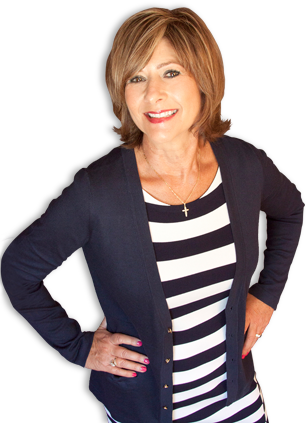 Call Debbie today to learn about Northview Harbour and all the communities that Charlotte and Lake Norman have to offer.